She was also shown 100% by her novice owner handler-Irenen Munsen-who is far from being a novice any more! Ebony's get bred by Irene have been a pure joy in watching them grow and do their share of winning. 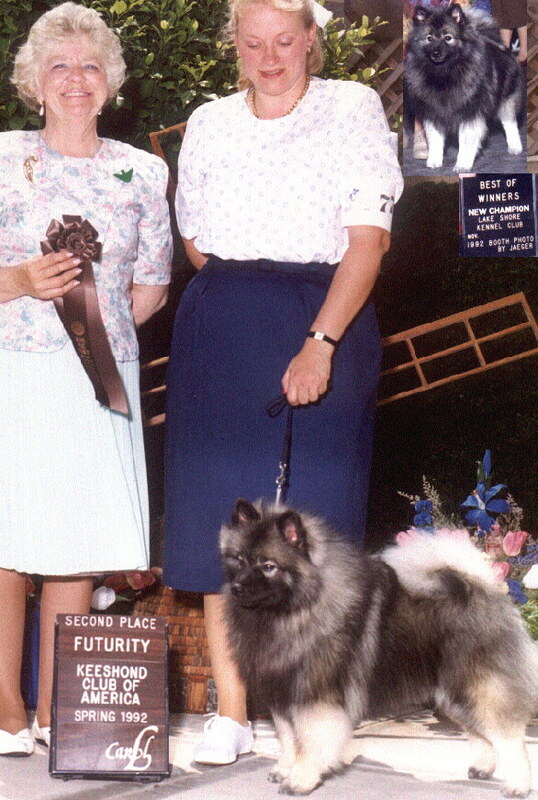 She has produced not only CH's but obedience dogs and a very talented agilaty dog also. Ebony did very well at her 1st National taking 2nd in her Futurity class and 4the in her regular class.